We’ve got 4 mad main acts and a second area hosted by the Locobot Records crew, you know this is going to epic! 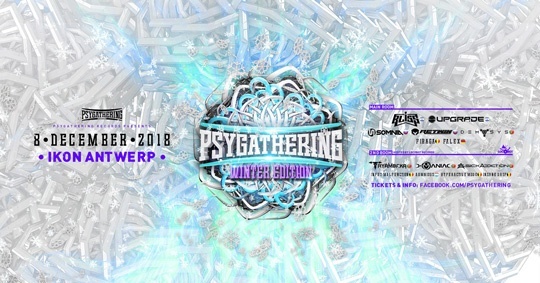 Keep you eyes on this page and make sure to buy your ticket early for this Psygathering Winter Edition 2 rooms once tickets are for sale! Main : Did Someone Say “Full On”? -the first artist will be revealed mid september! Second area will be hosted by Locobot Records ! really early birds : € 11 adm fee incl ! It’s gonna get crazy ! !